Tributes have been paid to a prominent Birmingham historian and university lecturer who has died following a battle with cancer. Students past and present have expressed their sadness following the death of Dr Chris Upton, whose impressive career included working as a historical consultant on hit TV programme Peaky Blinders. 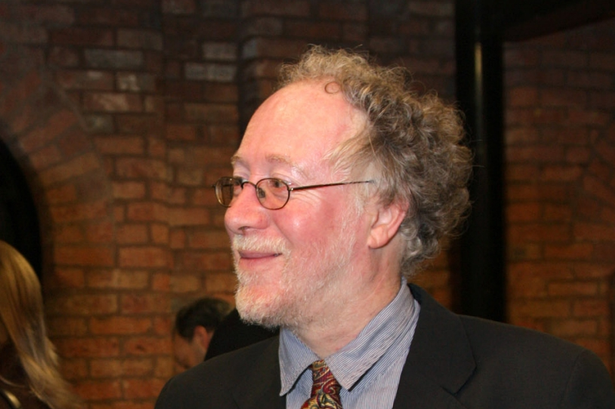 The 61-year-old, a columnist for the Birmingham Post, was a reader in public history at Newman University - specialising in the history of the West Midlands. The highly regarded tutor and historian, of Moseley, previously taught at the universities of Aston and Birmingham, and worked in the archives and heritage section of Birmingham Central Library. He has also penned a number of books on the history of the region, while he was also the researcher on the National Trust’s project to restore the back-to-back houses in Hurst Street. Dr Upton, who also made regular appearances on TV and radio, leaves wife Fiona Tait, aged 60. Leading the tributes was Bartley Green-based Newman University, which has opened a book of condolence to Dr Upton in its chapel. On its Facebook page today, the university wrote: “It is with great sadness that we have received the news that Dr Chris Upton passed away at home yesterday afternoon. “Many of you will know Chris as a friend, mentor, colleague and captivating teacher. “He was well known beyond Newman and across the city of Birmingham as an expert in local history of Birmingham and the Midlands. “This was often captured by his regular appearances in the media both in print and on television. “Here at Newman Chris has shown commitment and engagement with students and colleagues across our community and will be very sadly missed.” The Facebook post has been flooded with students, colleagues and friends paying their respects. And Louise Jones added: “So saddened by this news today. “Chris was an inspiration and his passion will live on through his students. In November 2012, Dr Upton penned a column in the Post revealing he had been appointed to work on the Peaky Blinders set, advising on a range of issues to ensure the period drama was historically accurate. He later said: “It was a real honour to work on the series. “Period dramas, such as Peaky Blinders, entertain and inform members of public, shining a light on periods of history that may have been forgotten.